Maggie Reagh, BA in Classical Philosophy, MA in Teaching, CYT, E-RYT 500 began studying Yoga at age 3 with her Mother guided by TV’s, Karen Zebroff. She resumed her practice of Yoga in her twenties after a pre-professional career in Modern dance came to an abrupt end due to lower back, neck, and knee pain. Pattabhi Jois’ Astanga Vinyasa practice brought her to Mysore, India in 2000 to study asana, pranayama and philosophy with BNS Iyengar at the Parakala Mutt where Krishnamacharya did his Vedic studies in the early 20th century. Searching for the source of Krishnamacharya’s work and looking for deeper healing from severe osteoarthritis and scoliosis as well as chronic anxiety and depression brought her to Chennai, India in 2001 to study at the Krishnamacharya Yoga Mandiram in Chennai, India with the TKV Desikachar family. With TKV Desikachar’s blessings at his father’s shrine, she started teaching Therapeutic Yoga in 2002 in Vancouver, Canada at Capilano University, where she is also faculty and the Program Coordinator of English for Academic Purposes. She went on to study with Gary and Mirka Kraftsow at the American Viniyoga Institute on Maui, Hawaii to learn how this work has been adapted for Westerners in group situations. In 2003, she started studying with senior Iyengar-based teachers including Gioia Irwin, Lindsay Whalen, and more recently Elise Browning Miller. She continues to refine her knowledge of alignment, props and restorative poses, incorporating this knowledge into her TKV Desikachar-based approach to Yoga Therapy. 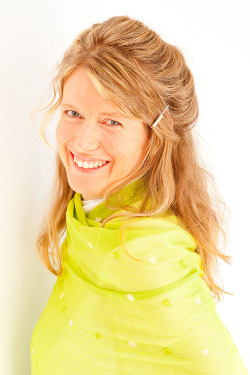 Since 2001, Maggie has been continuing her studies in Yoga Therapy, Asana, Pranayama, Meditation, Vedic chanting, and Patanjali’s Yoga Sutras with her beloved teachers in Chennai, India, D.V. Sridhar, Viji Vasu, and Radha Sridhar at Yoga Raksanam. She has also been continuing her studies in Ayurvedic medicine with Dr. B Ganesh at Ayu Wellness Clinic in Chennai. She is delighted to have her therapist trainees study directly with such senior teachers in the Krishnamacharya lineage. Encouraged by her teachers, in 2009, she started Yoga Therapy International as Registered Yoga School of Yoga Alliance and now Accredited School of the International Association of Yoga Therapists. In the CYT 1000, Maggie teaches courses on Yoga Philosophy; Ayurveda; Therapeutic & Teaching Skills; Yoga Therapy Practices; Providing Yoga Therapy; and Professional Practice. She is also the Practicum and Distance Learning Supervisor as well as the Founding Director of Yoga Therapy International (YTI).